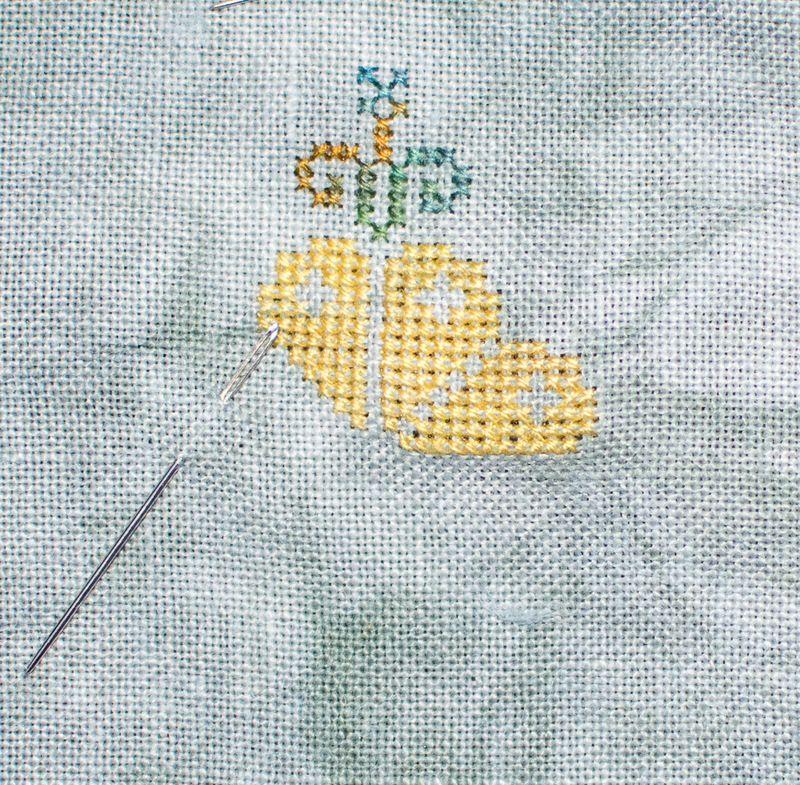 This is my first beginning of the Linen and Threads Mystery Sampler. 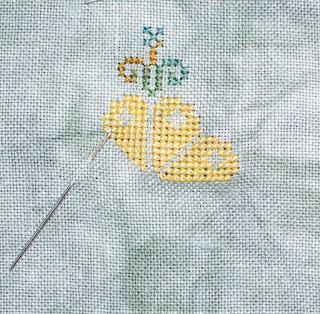 I started it as part of Stitch Maynia, but I think I am going to restart. The fabric I ordered from Picture This Plus is darker and greener than I desired. I found a better linen in my stash, and I am now waiting for some threads from Needle in a Haystack to come in so I can get the colors just right.